Combine watermelon, cucumber, onion, peppers, cilantro, and basil in a large bowl. Add honey and lime juice and stir to coat. Chill for at least half an hour in the refrigerator. Serve with tortilla chips. Watermelon has a lot of liquid naturally in it. Before serving pour out the excess liquid so your salsa isn't too runny. 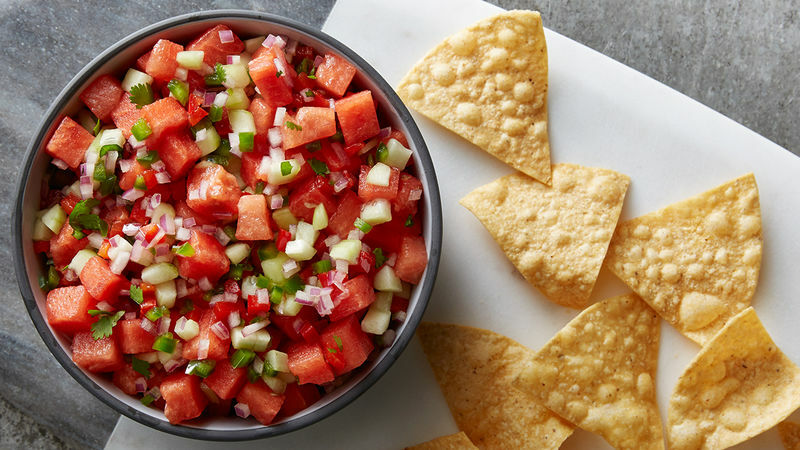 Leftover Watermelon Salsa? If you happen to have some extra salsa, it’s great served over grilled fish or chicken.